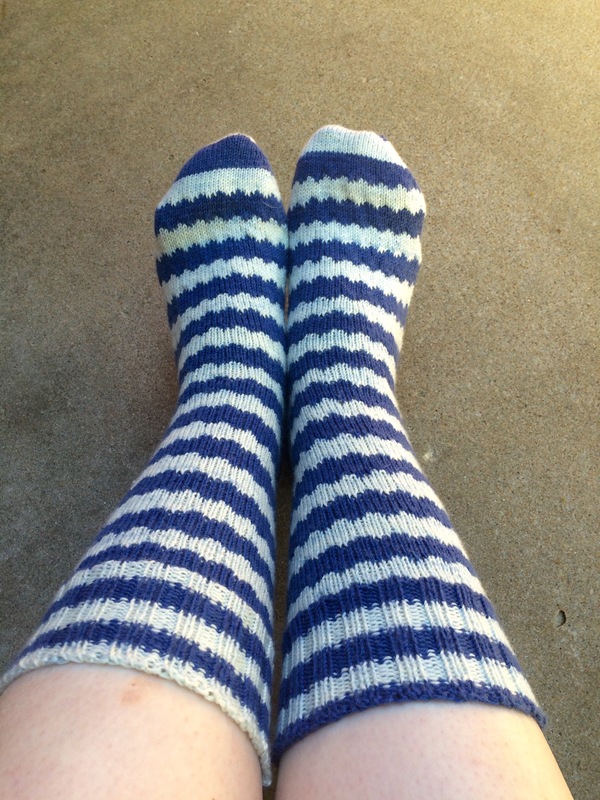 Shocker of shockers….I’m knitting more socks! 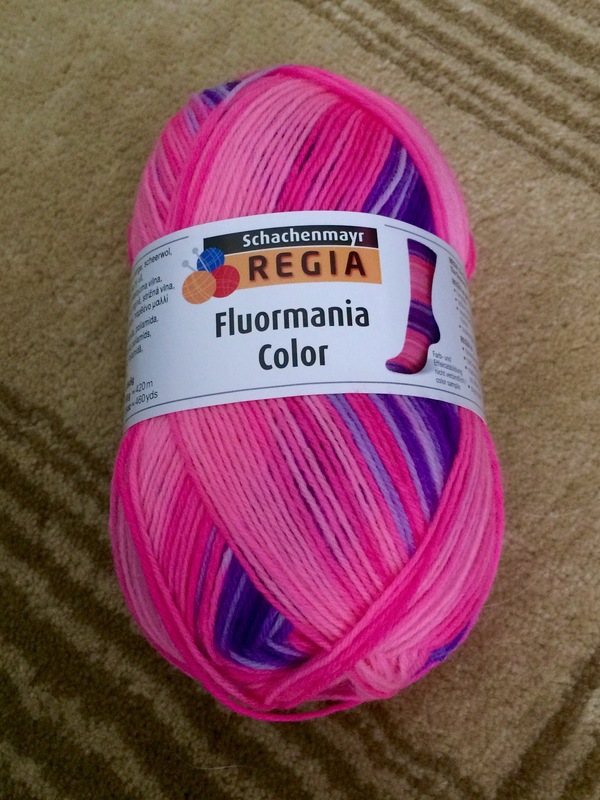 This yarn is thicker to me than the felici so I’m looking forward to a nice dense sock over 70 stitches on a U.S. 1 needle. I’m already through the toe increases! These are going to be my bedside project. So little by little they should grow. 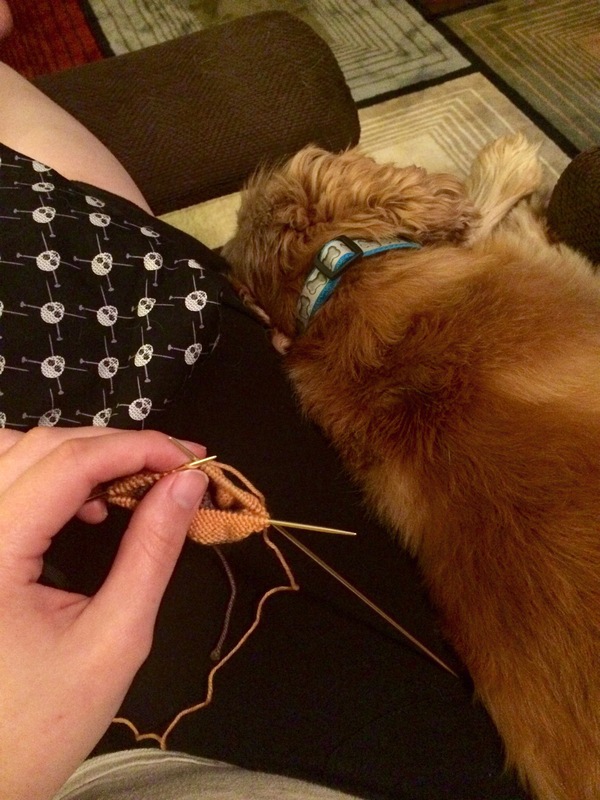 Ok, I may be late to the party…but I’ve discovered the wonder of knitting podcasts. Why have I been missing these??? Seriously they make my work day better and commutes a breeze! Right now I’m working my way through the Knitmore Girls from the beginning. They are hilarious and in the span of a couple of weeks I’ve chewed through 75 episodes. (Don’t tell the hubby lol). I’ve tried a few more but I’m not sold on them yet so I won’t mention then here. At least for now. My burning question is do you do the podcast thing and if so who do you listen to? After my Geeky FO last week I’ve decided to cast on some straight vanilla socks. I pulled the maple leaves Felici out of the stash (that you all so graciously voted for) and got to work. I can’t however decide what to call them. They are just full of mapley goodness. I am wanting a denser sock so I’ve gone down to US 0s and a total of 76 stitches. My gauge should put this in the right fit. Time will tell! Worst case scenario…I rip back and try again. Chloe is helping with this one 😀! Now what to call them…..vanilla maples or maple vanillas??? Here they are in all their geeky glory! My Geek socks were 50% done last we chatted. I put my try hard pants on and packed this project for a recent road trip. 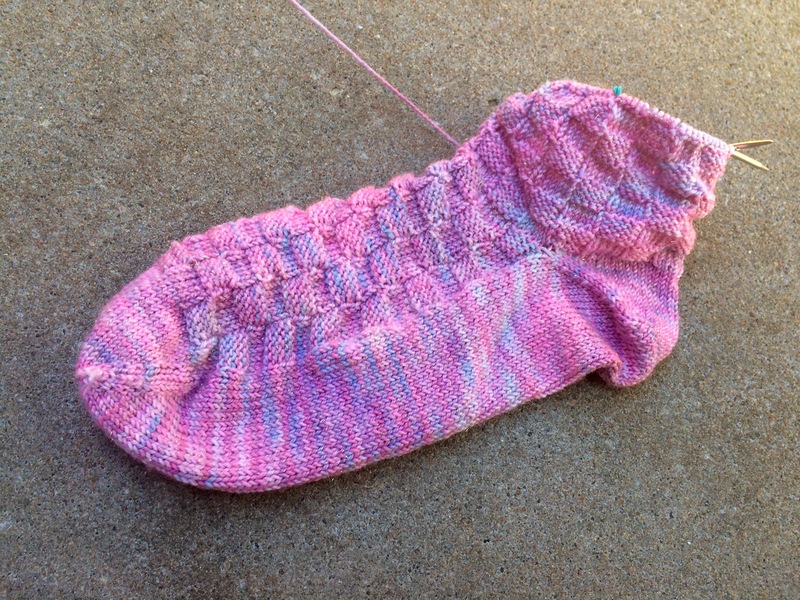 With three solid days of knitting in between chasing Jellybean I finished sock #2. My geeks are fraternal rather than identical and I love them! I didn’t follow the pattern exactly. The patternwas written cuff down and I modified it for toe up with an afterthought heel. 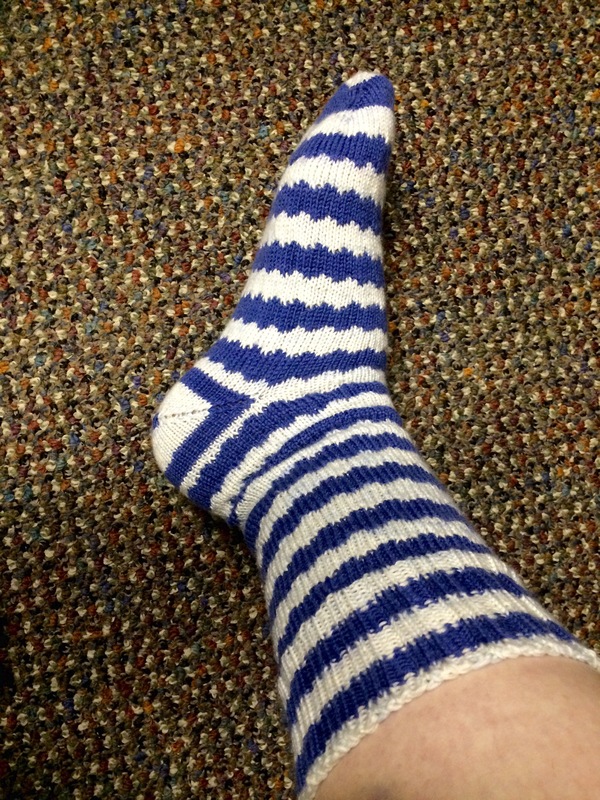 I just used the pattern chart and adapted it to fit my basic vanilla type sock construction. I highly recommend this pattern. Just make sure to mind your floats! I had to relax and let the yarn relax on my floats so as not to knit a tiny tight tube, lol. Now I need to cast on more socks! Happy Knitting!! I’ve managed to make some progress on my Checkerboard Socks! I’ve knit the foot and a tiny bit up the leg. And then added the afterthought heel. I like to add my afterthought heels before I finish the leg. 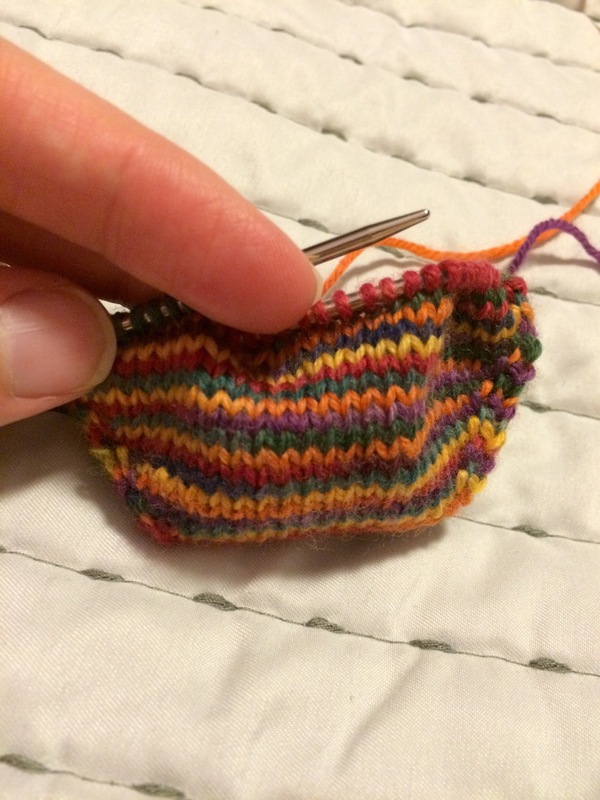 I knit the heel from the outside of the ball so all remaining yarn after the heel is done can go in the leg. It might be weird but it works for me and maximizes my yarn. Now I just need more car knitting to be done! Happy Knitting!! 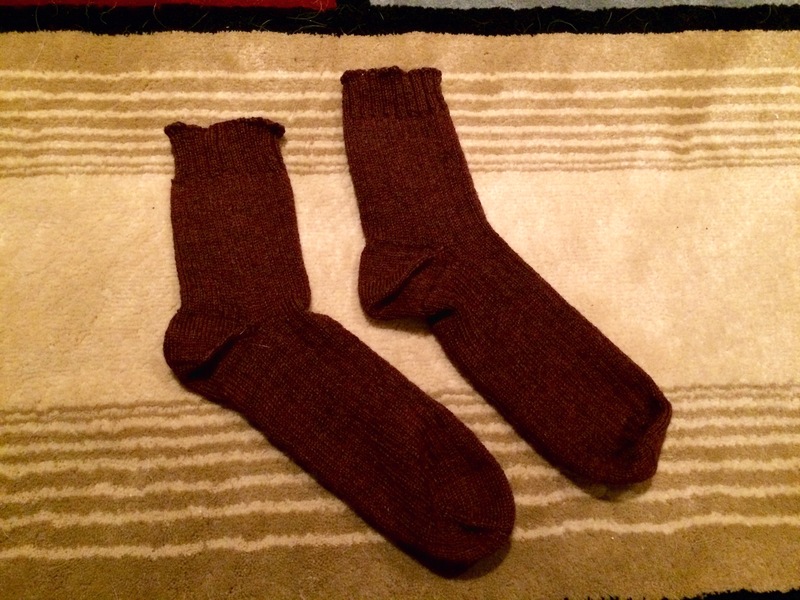 The Husband Socks are done! These socks took forever! But that is the course you take when knitting for big feet. I made this up as I went (from the toe up). I wasn’t very happy with the cuffs. But they are….okay. They fit my husband and only used 75% of the two skeins. If nothing else I know now how to better knit for my husbands foot. The yarn (although very dark) is lovely to work with. 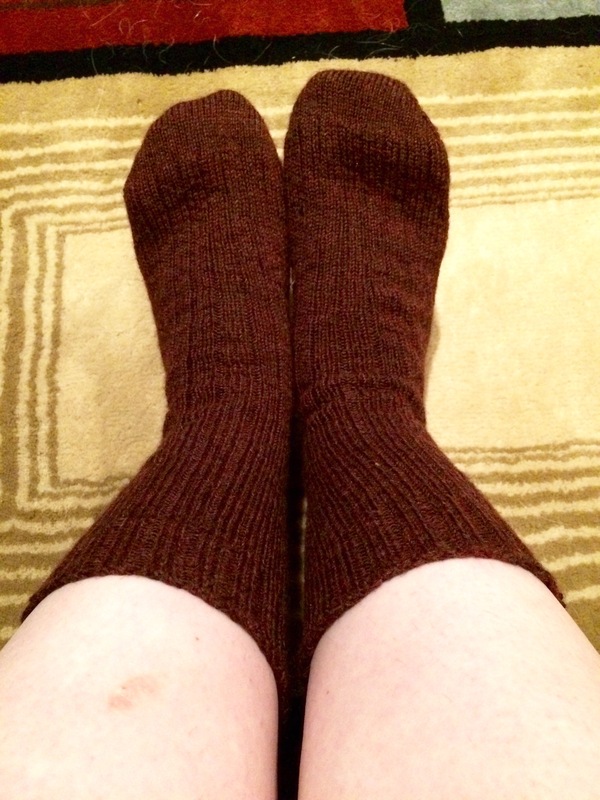 These just didn’t get my knitting mojo going so I’m glad they are done. On to more socks! Happy knitting! My Checkerboard Socks have seen some dedicated knitting. This sock is how I’m coping with some stress that’s best left unsaid at this point. Don’t worry it’s good stress and specifically to my mother..no jellybean does not have a sibling bun in the oven. But I digress. 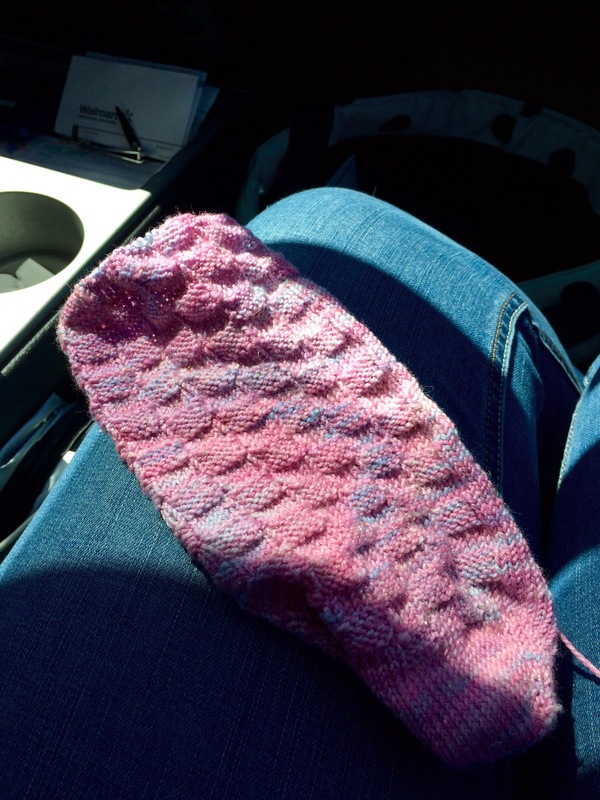 I’m to the heel of the first sock! This is again a pattern I’m making up as I go. I’ve got 70 stitches for sock but I may nip it in here and there to tailor it to my foot. The design part basically it’s a 5×5 checkerboard, meaning 5 stitches and five rows for each square. 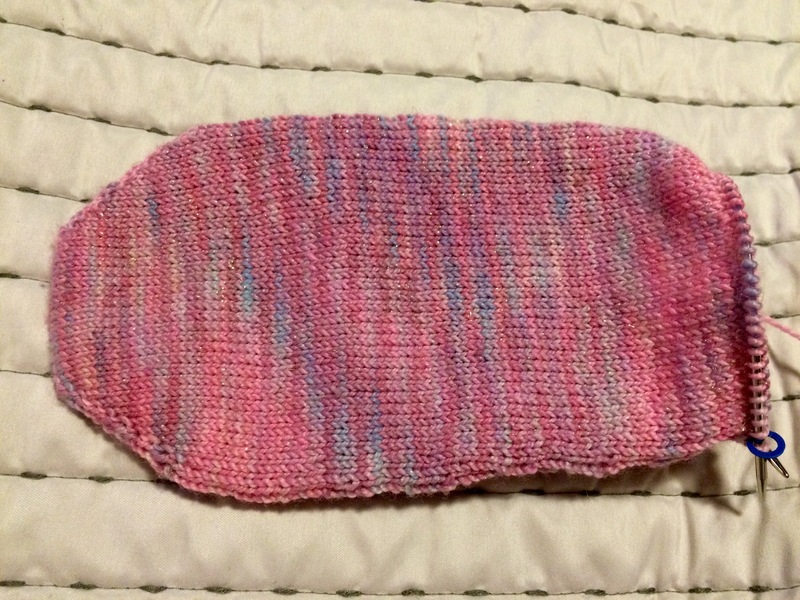 I did opt to leave the sole in stockinette. The yarn is from Across The Yarniverse on etsy. It’s handpainted and the colors are lovely! I believe this is the cotton candy color way. Lots of pinks with just a hint of blues mixed in. The stellina content doesn’t make for the softest feel/hand but I adore it enough I don’t care! At this rate I may have a sock by Saturday! 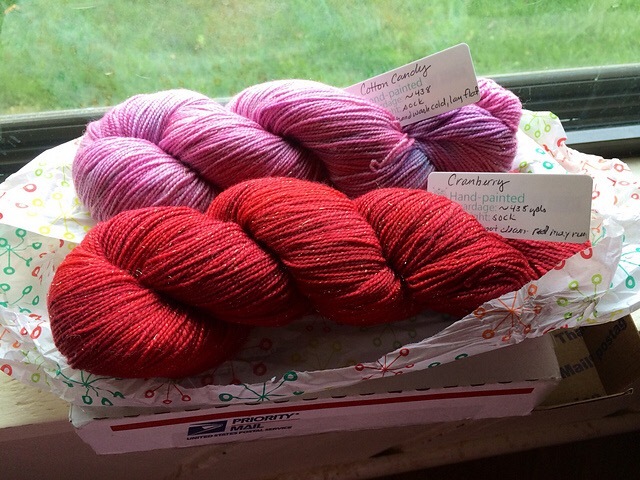 I had picked up some hand painted sock yarn from Across The Yarniverse on Etsy. The top is cotton candy and the bottom is cranberry. 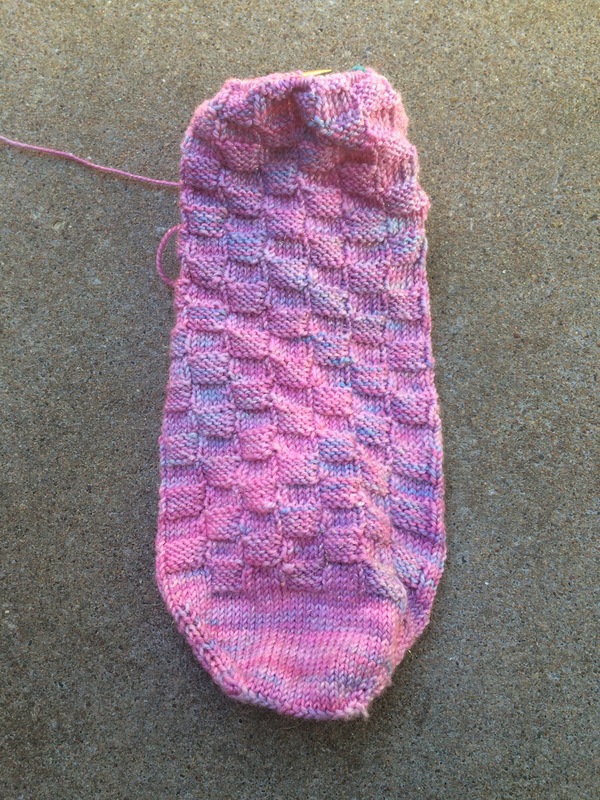 I have the urge to make a lightly patterned toe up sock. 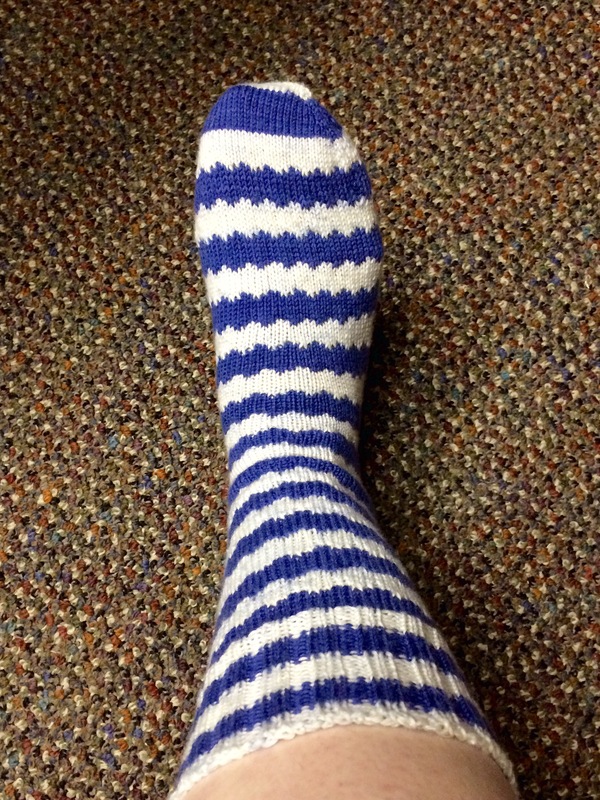 I’m thinking a checkerboard foot top, stockinette bottom, and a full checkerboard leg. I’m still sketching out my ideas. 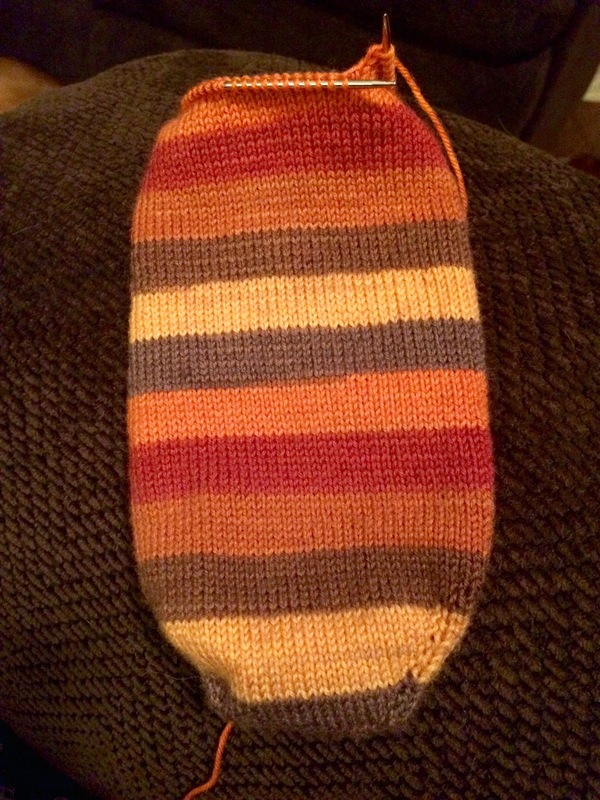 But I’m getting confident enough with socks that I think I can do it….time will tell! My husband surprised me with a lovely lunch with friends last Saturday! We had yummy Asian food in Lawrence and both jellybean and his friend were fairly well behaved. Jellybean was still in a good mood after lunch so I batted my eye lashes and convinced him to let me wander into Yarn Barn which was just a block away. I mean how could you not visit a LYS when you are that close! 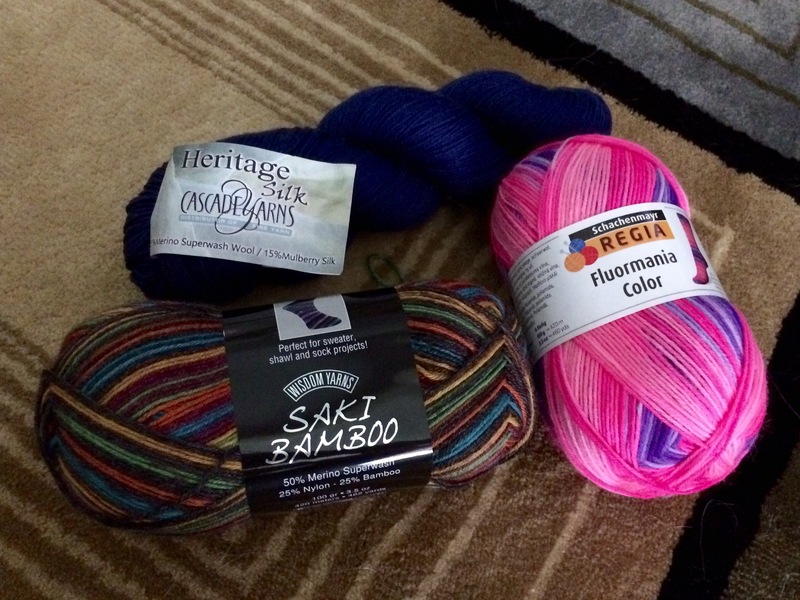 Not much damage but still three new to me sock yarn! A very nice Mother’s Day to me indeed! 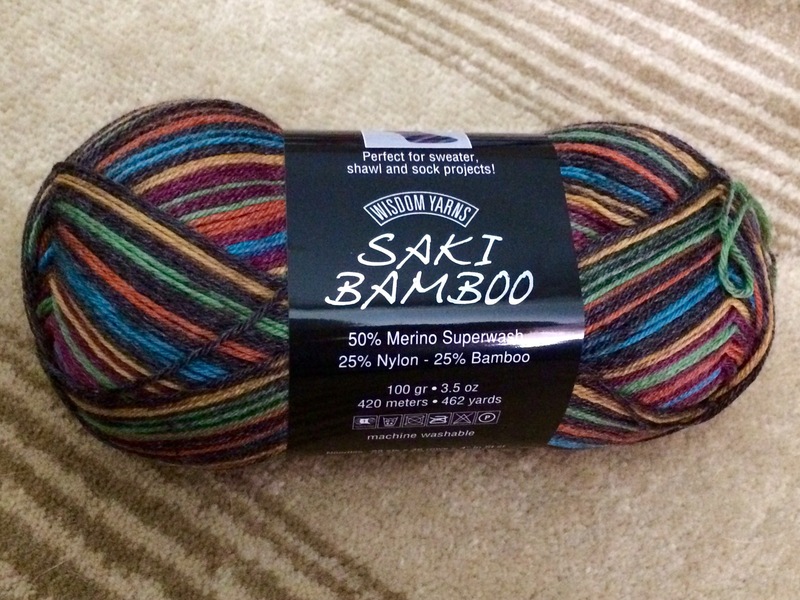 First up, Saki Bamboo in Crayon box. This is 50% merino, 25% nylon, and 25% bamboo. It feels just so soft! And the yardage is very generous at 462 yards. 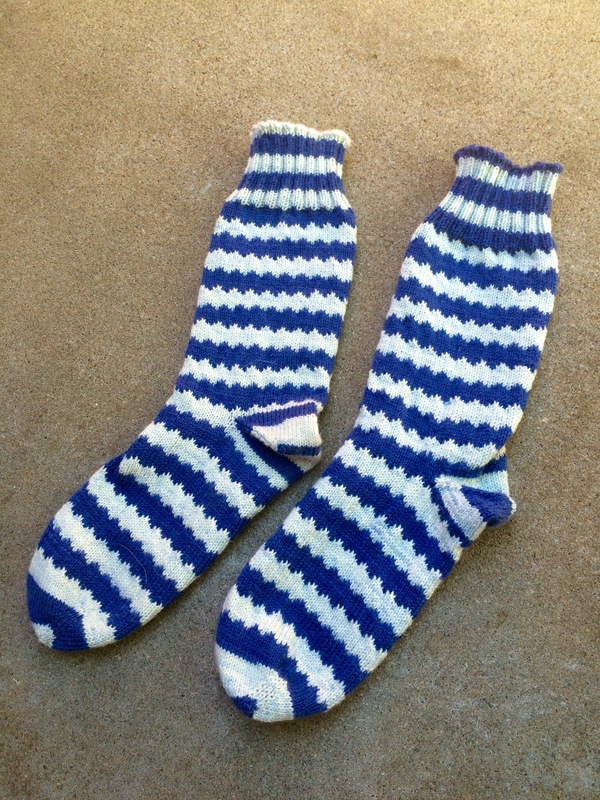 These will probably be socks for the husband and maybe a matching set for jellybean! This was so wild I couldn’t resist. And again very generous with 460 yards. 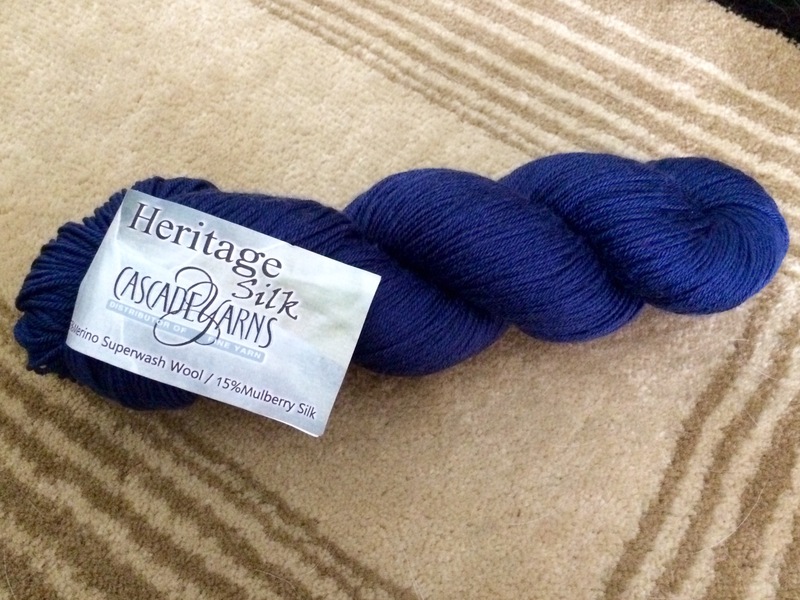 Lastly, Heritage Silk by Cascade. This is 85% superwash and 15% mulberry silk. This feels divine and just might yarn for petting. At least for a little while 😀. 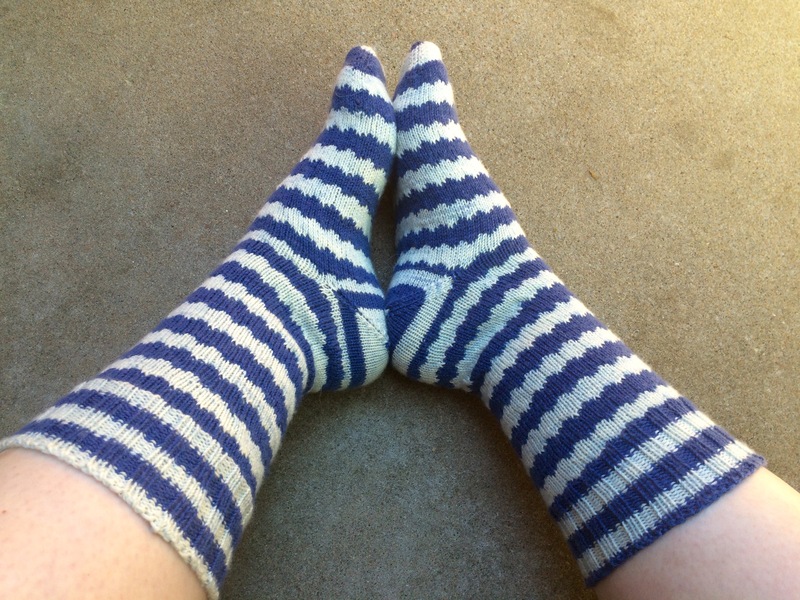 One geek sock is in the books! I literally used all but half a yard of yarn! 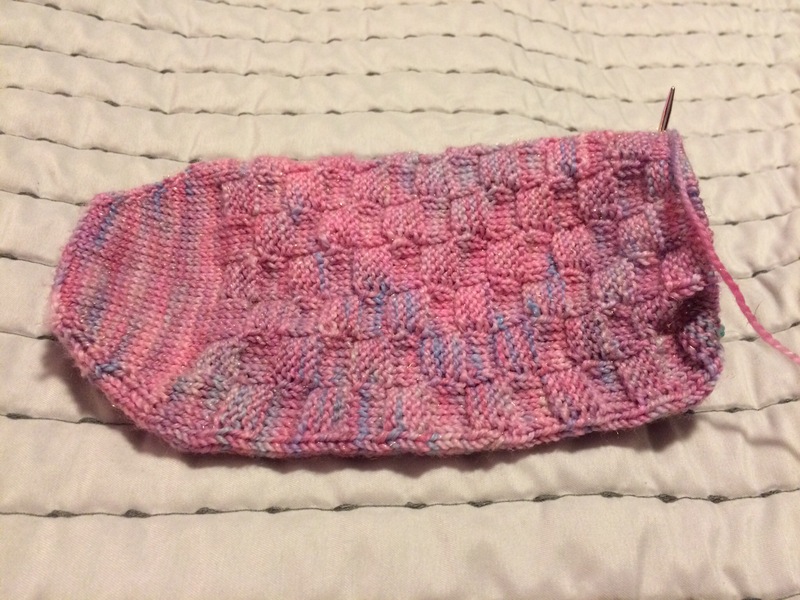 I knit the afterthought heel from the outside of the ball as I went just to be sure. And then knit the leg until I reached the end of the skein.